Tadhg Stray doesn’t like when people laugh at him. He sometimes has a terrible temper. And he never knows when to leave a party. Tadhg Stray Wandered In by Michael Collins is an 80-minute play about an impulsive young man trying to find love on the streets of Navan and Paris. It is performed by Eamon Owens (The Butcher Boy, Amongst Women, The General, etc.) in his stage debut. 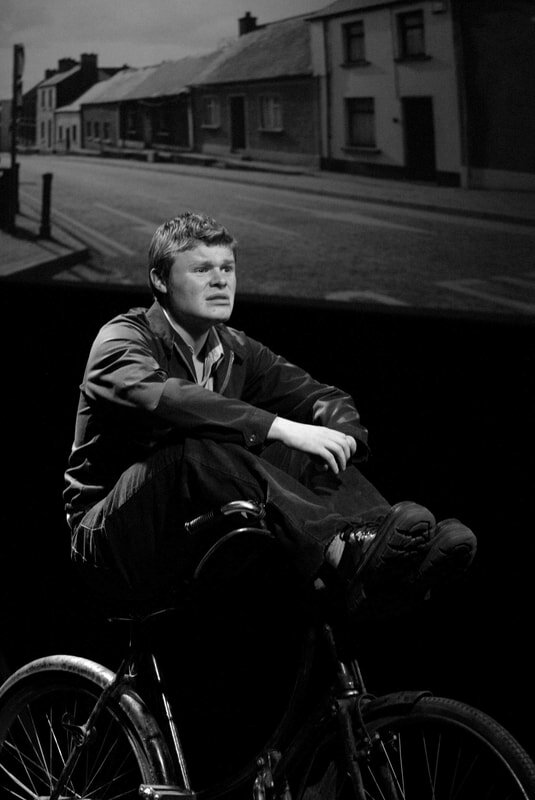 Michael Collins is a powerful young writer who was discovered through Fishamble’s Playwright Development Initiative and has since had his work produced by Druid. Two post-show discussions during the run of Tadhg Stray Wandered In were held on the evenings of Tuesday 30th March and Tuesday 6th April, immediately after each performance. The discussions featured playwright, Michael Collins, performer Eamonn Owens, and director Jim Culleton.